Lead poisoning may have made life difficult for the doomed men of John Franklin’s 1845 expedition, which got lost in the Arctic while in search of the Northwest Passage linking the Atlantic and Pacific Oceans. But it probably didn’t contribute much to their inevitable fates. That’s the conclusion of a new study of lead concentrations in the hair of one of the men who died while the expedition was stranded on King William Island between late 1846 and early 1848. Captain Sir John Franklin’s expedition wasn’t the first to sail north in search of a passage linking the Atlantic and Pacific Oceans, and it wasn’t the last. But its disappearance left behind a compelling mystery, one kept in the public consciousness for years by the tireless efforts of Franklin’s widow. 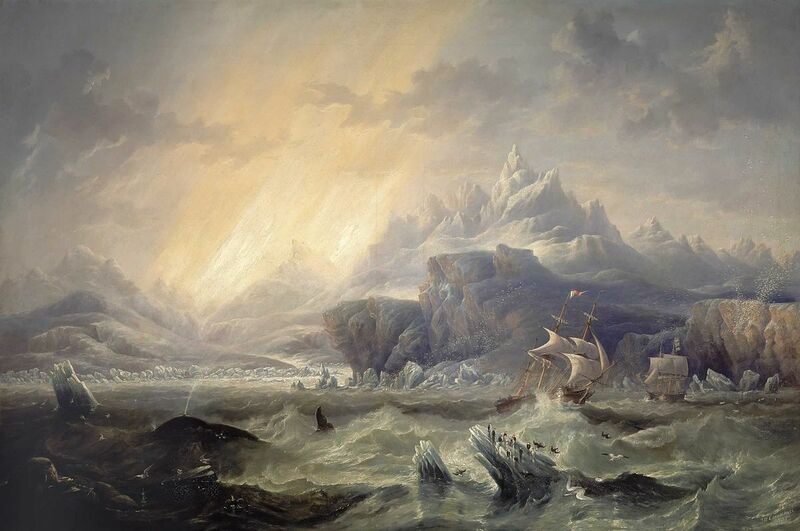 For years in the late 19th century, the search for the lost sailing ships HMS Terror and HMS Erebus nearly rivaled the search for the Northwest Passage itself. Thanks to a note found in 1869 on King William Island, we know that all was well on the wooden ships in May of 1847, aside from being stuck in the ice. But by April of 1848, 24 men had died, including Franklin and the expedition’s assistant surgeon, naturalist Harry Goodsir. The remaining 105 had abandoned their trapped ships and set off across the ice to try to reach Back River on the Canadian mainland. Neither ship would be seen again for over 150 years. A century and a half later, historians are still debating exactly what went wrong.